Google Shopping will be transitioning to a new experience in the UK beginning 13 February 2013. Over the past weeks google shopping results have been showing less and less in the organic results and more and more shopping ads are showing. With organic search flat lining site owners really need to consider the use of the Pay Per Click model now being used. It’s pretty clear to see if you are not running the PPC Uk Google Shopping you’ll be messing out on what you once had. Feel free to contact us regarding google shopping and advertising on google. This entry was posted in PPC, Search, SEO and tagged google, ppc, shopping, uk on 02/28/2013 by Gabriel Homer. 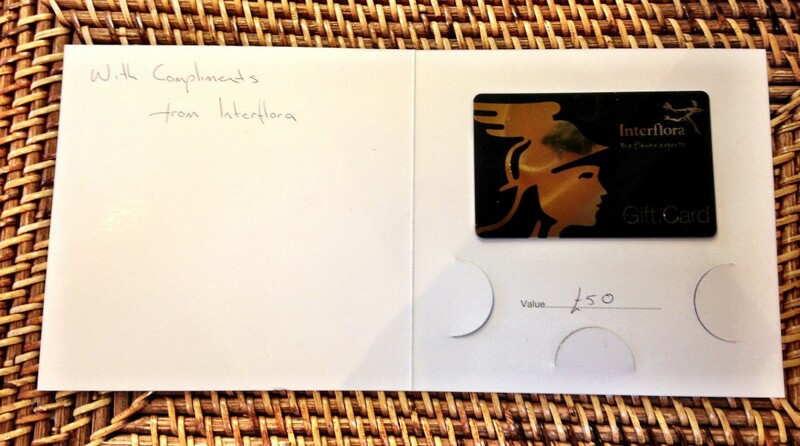 Why is Interflora still sending out vouchers to bloggers? Last week we saw Interflora UK wiped of the face of the earth, well off of Google anyhow for allegedly breaking their terms and conditions. Here’s what Matt Cutts had to say about buying links and paying for advertorials. This wasn’t a bolt out of the blue and Interflora UK must have been aware as they started a militant clean up last Aug 2012, contacting bloggers to remove the links that they initially purchased and threatening them with DMCA takedown notice or reporting the links to Google. So, why are they still sending out vouchers in return for advertorials? This voucher was received last week (19th Feb 2013). Are they playing with fire or just someone being rather naive? 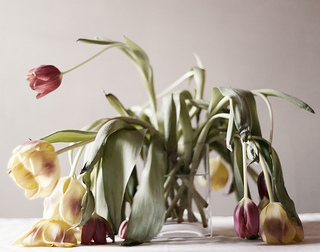 This entry was posted in Search, SEO and tagged buying, interflora, link, penalty, uk on 02/26/2013 by Chrissie Saunders. Do 301 redirect pass all the link juice? Matt Cutts of google explains in the video below about the myth of loss of link value (juice) passed via a 301 redirect. Firstly what is a 301 redirect? Why would you use a 301 redirect? Page A has no use to users due to it being duplicated somewhere else or the product has been updated with the latest version but the old page still gets traffic and internal/external links/bookmarks. By adding the redirect you are directing users to a current and valid page. The video is short but worth a watch. The myth mainly came about when people 301’d a page and saw the rankings wouldn’t completely pass BUT the main reason for this myth is it would take a while for google to recalculate and pass the value. The theory was that the full value was never passed however Matt goes on record to explain that the value is the same a 1 link on that page. It’s worth considering the page you are 301’ing is very likely to be more than 1 link so you “should” see a loss in value to the pages that are linked but not 301’d as you can only 301 to a single page. This entry was posted in Search and tagged 301, Cutts, google, Matt, redirect on 02/26/2013 by Gabriel Homer. We have all seen the massive change to our facebook timelines especially on mobile.. ads ads and more ads.. The ads are now everywhere.. This has offended many users including many of my friends. The graph is the reach of a facebook campaign I’ve run for many years. This campaign runs on the PPC (pay per click) model. 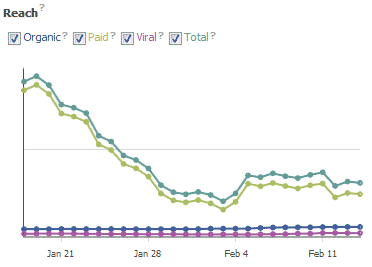 You can clearly see the massive drop in reach from the 2nd week of January 2013. Nothing in this campaign has changed, no targeting changes and no budget changes.. So with CTR more than double will result in a reduction of the same in reach. It maybe time to start testing the impressions model. If you require more information on facebook advertising why not contact us. This entry was posted in Facebook, PPC, Social Media on 02/21/2013 by Gabriel Homer.